Home » Blog » Daymond John of Shark Tank is ALL IN! What a great hour listening to Shark Tank’s Daymond John and Infusionsoft Evangelist Ramon Ray talk about “Attract, Sell, Wow. How to Date Your Leads, and Marry Your Customers with Lifecycle Marketing”. 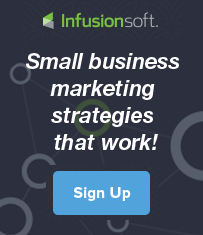 At the end, you hear what Daymond really thinks about Infusionsoft!